Appeal: Japanese Painted Fern is a lovely ornamental fern to add to your landscape that provides different and interesting colors for the more shady areas. 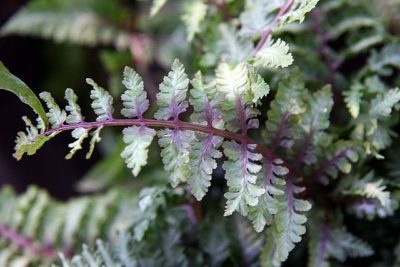 Japanese Painted Fern is valued for its tri-color foliage that displays shades of green, grey, and purples with reddish stems. 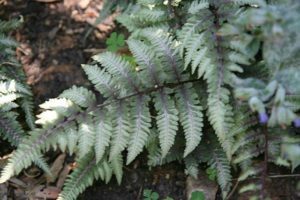 It forms clumps or mounds of foliage and can be used along walkways or mixed with other perennials for added color contrast. 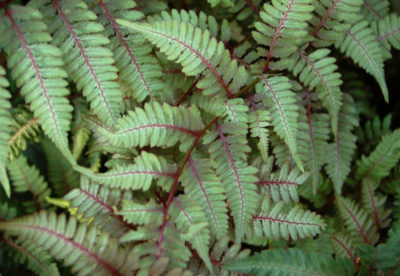 Truly a unique fern and is deer resistant.